Guy Fawkes or Fireworks Night as it is also known is on the 5th of November. This is a great opportunity for Friends and family to get together for spectacular Fireworks Displays either organised public events or privately at home. To add to the mood of a Fireworks Themed Party we have lots of Flashing LED Accessories to select as well as a an amazing variety of Glow in the Dark Party Supplies to delight your guests. We would love to hear about how you are spending Guy Fawkes night this year. Remember, Remember the 5th of November…..Guy Fawkes or Fireworks Night commemorates Guy Fawkes who famously plotted to blow up the House of Lords. There are many traditional Firework Displays throughout the country both organised and privately at home where friends and families get together to enjoy the fireworks as well as having bonfires as well. There are lots of fun ways to add to and light up your Fireworks Party. Flashing LED Accessories are fantastic fun and enjoyed by all. We have lots of Flashing Party Products to choose from such as a Flashing Spiked Bracelet, Flashing Crazy Hair, Rave Finger Lamps and the very popular Flashing Gloves and Flashing Mouthguards. A cool way to impress your guests at your Guy Fawkes Party is to serve drinks in a vivid Flashing Cola Glass which adds to the festivities. 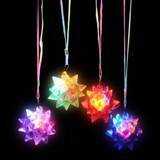 Glow In The Dark Party Supplies can always be seen at Fireworks Parties are a firm favourite. Our Glow In The Dark range includes Glow Bracelets and Necklaces which are a classic look for any Fireworks Events as are Glow In The Dark Glasses. Glow In The Dark Garden Glow Sticks are the perfect way to decorate either your garden or any venue where your Fireworks Display is taking place and we also have Glow In The Dark Packs which are available in pack sizes one, two and three depending on the amount of people you are buying for. Glow In The Dark Tumblers are also the perfect addition to Fireworks Tableware, really standing out. Disposable Tableware is just thing to use to serve Hot Dogs, Burgers or Jacket potatoes, all the traditional food served at Guy Fawkes Events and no mess to clear up. We have lots of plain colours to select to match any theme including, Black, Silver, Red and Gold Plates with matching Black, Silver, Gold and Red Cutlery. These can be co-ordinated with Cups and Napkins. There is still time to take advantage of our delivery options to ensure that you get all you need in plenty of time for Guy Fawkes. How are you spending Guy Fawkes night this year?